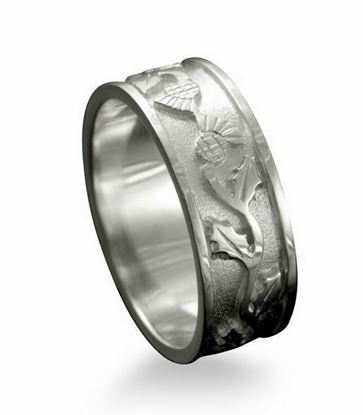 Designs incorporating the Scottish Thistle – the traditional emblem of Scotland. 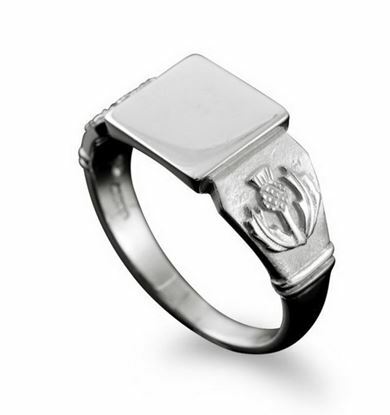 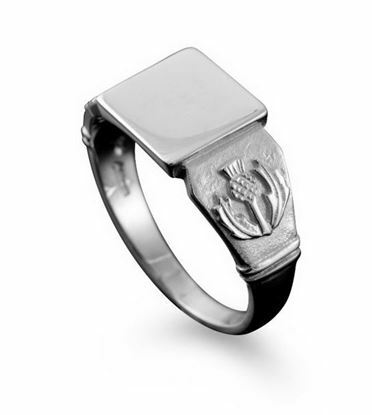 An attractive Ring with Scottish Thistles on the head of the band and a plain band reverse. 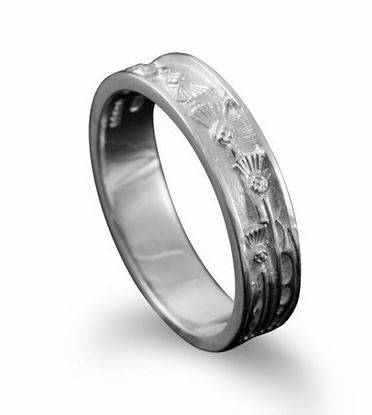 An unusual and attractive Ring with engraved thistles wrapped round the band. 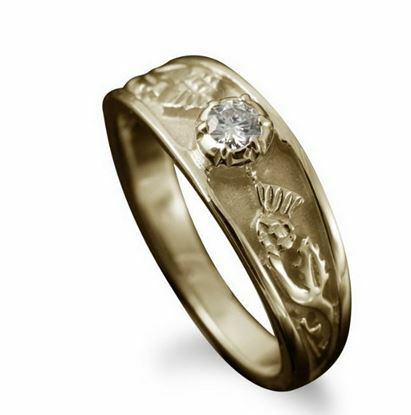 This Signet Ring has a Scottish flavour with a Scottish Thistle on each shoulder.